Brandon Prust's summer training regimen has definitely added some punch to the gritty forward's game. They hail from the same city, are separated by just over a month in age and each know how to take and give a jab. When Prust, in his first full year with the New York Rangers, he met up with fellow London, Ontario native and Ultimate Fighting Championship (UFC) competitor Sam Stout in their hometown. The two became fast friends and eventually training partners during the 2010 summer months. Prust learned a great deal from and about Stout, including that the Canadian mixed martial artist and K-1 kickboxer has a strong jaw. 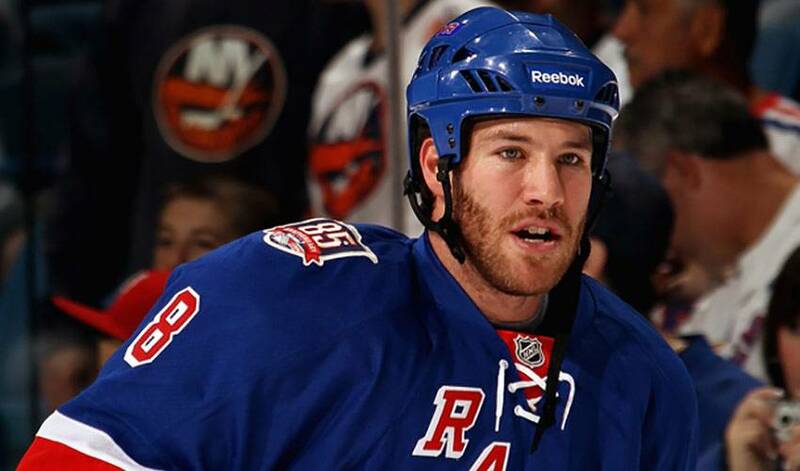 Prust is equally deserving of respect for his role on the Rangers. The 6'2”, 195-pounder is by no means a heavyweight when it comes to the tough guy fraternity, but it doesn't stop him from doing his job when he's called upon. Prust, traded along with Matthew Lombardi and a first-round draft pick to the Phoenix Coyotes for Olli Jokinen on March 4, 2009, doesn't need to be reminded that every game, even in the early stages of the season, are important ones. He also doesn't wish to relive the heartbreaking ending to New York's 2009-10 campaign. In danger of falling out of the playoff picture entirely in March, the Rangers went 7-1-2 record to finish the season. The final two games of the season saw them square off against rival Philadelphia in a home and home series. The first game saw New York get the win, one that kept their post-season hopes alive. The final game would decide who would move on whose season would end. In the second game, Philadelphia shooters fired 47 shots at Henrik Lundqvist, but beat him just once. The game went into a shootout, with the Flyers getting the victory. For his part, Prust will continue to do what he's done best. Prust hopes it adds up to give the Rangers a fighting chance in the Eastern Conference playoff picture. Which is why Brandon Prust is willing to go the extra round to make sure it doesn't.